Since 1973, Mr Bill's Seafood has been Lancaster's year-round source for blue crabs! Over the years our fresh seafood market has evolved to bring our customers the very best fresh seafood from around the world. We take pride in the freshness and preparation of every seafood product we sell from crabs and fresh fish to shellfish, shrimp and lobster. 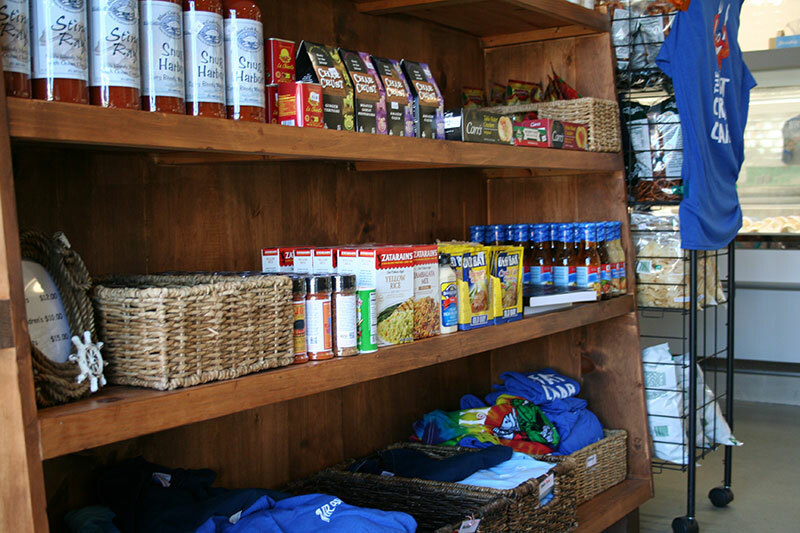 Visit our store for a great selection of Mr. Bill's gear from T-shirts and aprons to hats and mallets. Whether you're looking for fresh or frozen seafood favorites, shrimp party platters, crabs and lobster or ready-prepared seafood dishes for the whole family, you are going to love Mr. Bill's Seafood! Mr. Bills Seafood was born from a passion for the most incredibly sweet, delicious and amazingly flavorful blue crabs. Founded originally as Mr. Bill's Crab Pot in in 1973, Mr. Bill's seasonally offered a simple and delicious line of Live and Steamed Blue Crabs, Clams and Shrimp. In 1981, Tim Glatfelter was invited to become a partner in the business to relocate, diversify, manage and operate what is now known as Mr. Bill's Fresh Seafood. Mr. Bill’s relocates directly across the street from their original location with an ever-growing demand and encouragement from their loyal customer base. 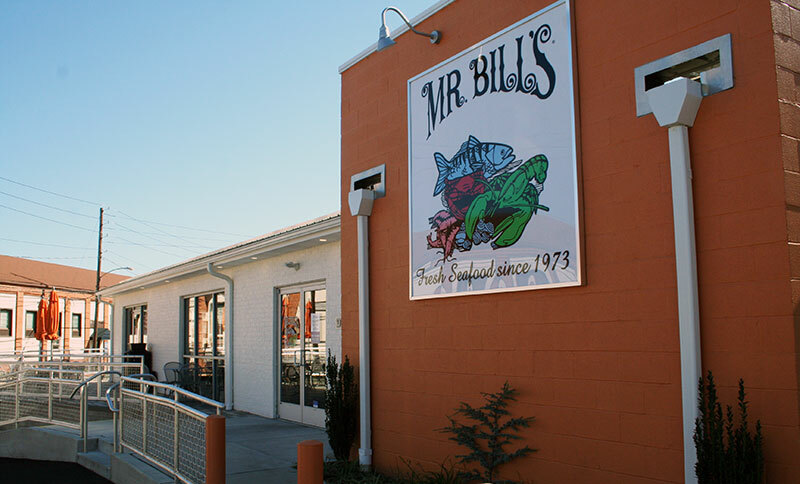 Mr. Bill's began offering an even broader line of live, fresh and frozen seafood for both retail and wholesale customers. In 1998, Mr. Bill's researched modern steaming techniques to develop a cutting edge steaming device that increased steaming capacity to over 200 bushels of crabs per day. In 2008, Mr. Bill's introduced the Crab Feast to Go, while being voted the "Favorite Place to Buy Seafood" for the 7th year in a row by Lancaster Newspaper's Readers Choice Awards. In 2011, Mr. Bill's established a market stand at the iconic Lancaster Central Market. In 2017, Mr. Bill's Fresh Seafood relocated directly across the street to our original location adding Fat Crab Cafe, a casual seafood dining restaurant. The cafe features seafood favorites prepared by our well credentialed chef. Customers can enjoy lunch and dinner year-round along with a fun and festive patio dining experience during the fair-weather months.